Arrival at Port Blair in the morning by flight and transfer to hotel. 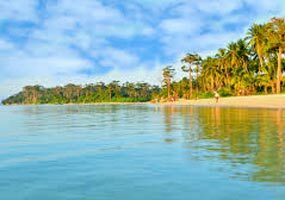 Visit Corbyns cove beach the only beach in Port Blair. In the evening proceed to attend the enthralling Sound and Light Show at Cellular Jail - (at 1800 hrs or 1900 Hrs, depending on light and sound show ticket availability) where the heroic saga of the Indian freedom struggle is brought alive. After breakfast, check-out from the hotel and transfer to the jetty to board the Govt ferry/ Private ferry to Neil Island. Upon arrival, transfer to the Hotel in Neil Island and check-in. Set out for a sightseeing trip to Sitapur Beach and Bharatpur Beach in the evening. Enjoy a comfortable overnight stay at the hotel in Neil Island. After breakfast at the hotel, check-out and transfer to the jetty. Board the boat for Port Blair. On reaching, check-in to the Hotel at Port Blair and relax and unwind. After breakfast, start for a tour of places in & around Port Blair (City Tour) - covering the famous Cellular Jail*( a witness to the freedom struggle), Chatham Saw Mill (one of the oldest & largest in Asia), Forest Museum, Anthropological Museum, Fisheries (Marine) Museum, Naval Marine Museum (Samudrika). 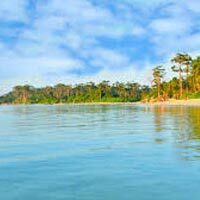 At 1530 hrs proceed to Chidiya Tapu located 30 kms away from Port Blair and also called the Sunset Point in Andaman’s (Hot Tea will be provided). Return back to proceed for some local shopping.